This guy sure knows how to have fun with cars in a way that professionals like Lewis Hamilton can’t. Jaguar Land Rover seems to have a penchant for showing up to the Goodwood Festival of Speed in one of its SUVs and making the hill climb on two wheels. After all, it has to do something to get attention. With the world’s finest supercars in attendance, it’s tough for even the best-looking Jaguar or Land Rover to stand out even if hauling its tail up the hill as fast as possible. 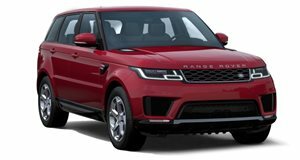 The gorgeous Range Rover Velar would have trouble, so it goes without saying this Range Rover Sport is in trouble. Even the Jaguar F-Pace, more impressive last year when it was new, had to flip onto its side to make any noteworthy headlines. This year, JLR was back at it again, covering a Range Rover Sport in a large Monster sticker along with other sponsor adverts, and then sending it up the hill on two wheels. Stunt driver Terry Grant was the man behind the stunt, and suffice it to say, he’s got plenty of experience. While he's the same guy responsible for overturning the Jaguar F-Pace last year, he also holds the record for the fastest lap made up Goodwood in reverse, which he did at the helm of an electric Nissan Leaf. After that, Grant teamed up with Nissan again to show us all how to drive on two wheels in a Juke crossover. Thankfully, Grant pulls off this year’s stunt without a hitch, even taking the time to emerge from the cockpit while the Rover is roving before getting on the throttle and pulling off some juicy donuts. Maybe he should have been the pilot for the Porsche 911 GT2 RS’ hill climb so its donuts wouldn't have been ruined.